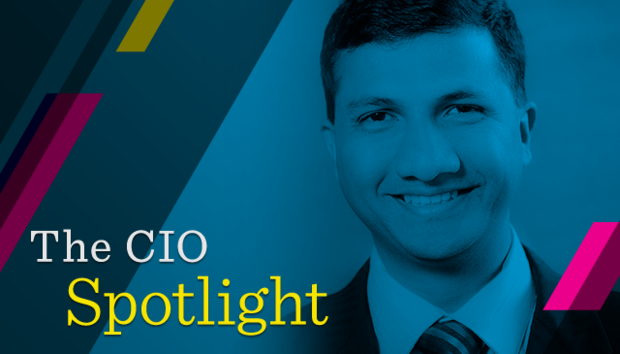 Sidney Fernandes is the Vice President/CIO for Information Technology for the USF System. Since taking on this role in 2014, Fernandes has led the implementation of several large enterprise projects ranging from medical record and allied systems to student information and financial systems. He was also responsible for the design and implementation of the USF Health data warehouse which included over twenty-five different source systems both internal and external to USF. What was your first job? My first job was selling advertising for the Times of India newspaper in Goa, India. I have always been grateful for this opportunity because of what I learned. I believe that you are always in "sales", whether it is selling an idea or a new product and that experience was invaluable. Did you always want to work in IT? Yes I did. My undergraduate degree was in computer science. I fell in love with programming and solving problems using computers very early on. I was fascinated by consumer behaviour and market research topics that I focused on during my MBA, but it too was in the context of how technology could make a difference. What was your education? Do you hold any certifications? What are they? I have a Bachelor's in Computer Science, an MBA in Marketing and an MS in Information Systems. Explain your career path. Did you take any detours? If so, discuss. Apart from an initial detour in sales at the start of my career, I have spent most of my 20-year career in IT. Initially I was a programmer and then moved into designing and developing data warehouses. I was fortunate to have the opportunity to move into leadership positions within Application Development as a director and then as Assistant CIO, CIO for USF Health and now VP and CIO for the USF System. I have been involved in many challenging and rewarding implementations including an EHR, practice management, data warehouse, and student information systems. In my current role, I am involved in our digital transformation focused on student success and business process optimisation using a full range of technologies from physical infrastructure upgrades, ERP, IBPM and RPA that create a digital ecosystem that is vital for a modern university. All of this has exposed me to a wide range of both technology and business domains. What business or technology initiatives will be most significant in driving IT investments in your organisation in the coming year? Technology investments in IT will be focused on the strategic priorities of the university that begin with an emphasis on Student Success, promoting Research and Innovation as well as continuously improving the customer experience at every interaction. What are the CEO's top priorities for you in the coming year? How do you plan to support the business with IT? In June of this year, USF became only the third university in Florida to be granted the status of a Preeminent University by the Florida Board of Governors. This distinction comes with additional funding, but also means that we must focus on keeping this status while tackling our next challenges. USF will begin a significant organisational consolidation with the priority being to complete this effort while continuing the upward trajectory of our student success metrics as well as improve our research portfolio. IT will be partnering with the business in leveraging the elements of our digital transformation ecosystem like our low code platform Appian as well as our agile development methodologies to rapidly develop solutions needed by the business. Does the conventional CIO role include responsibilities it should not hold? Should the role have additional responsibilities it does not currently include? I believe that the CIO has never been a conventional role. As technology has continued to evolve, the role of the CIO has needed to morph from being a provider of the technology to a broker of technology solutions with deep business expertise to ensure that he or she is a trusted partner of the business when developing solutions. Are you leading a digital transformation? If so, does it emphasise customer experience and revenue growth or operational efficiency? If both, how do you balance the two? Yes, at USF we are focused on improving our student experience as well as driving operational efficiencies by creating what we refer to as our digital transformation ecosystem. Using the Appian low code platform which enables rapid app development, along with Agile practices and leveraging other tools such as, Mulesoft Anypoint platform and Microsoft Azure, we have swiftly built student facing solutions that enable our students to get the right assistance when they need it, as well as process automation solutions for HR, travel and faculty tenure promotion. Describe the maturity of your digital business. For example, do you have KPIs to quantify the value of IT? Our digital business is in its early stages. IT has partnered with the business to build KPIs and metrics that ensure that all IT projects are aligned to the business goals. What does good culture fit look like in your organisation? How do you cultivate it? We use the Agile values to guide our culture and we believe that employees need to have a growth mindset to be an integral part of our culture. We are getting ready to introduce to our staff our core competencies and in the near future will be launching mentoring and individual development plans. We believe that our clients are the first priority and everything needs to flow into that mindset. We are constantly looking at how to continue to foster our cultural changes. What roles or skills are you finding (or anticipate to be) the most difficult to fill? Cloud architecture, Agile practitioners, security analysts, and enterprise architects are some of the areas that we struggle to find qualified candidates that we can afford to hire. Due to the very low unemployment rate for IT professionals in our area, we do find it takes a little longer to find our preferred candidates. What's the best career advice you ever received? In tough situations you can't wish for something to be different, you have to manage within your constraints and look to get the best possible solution to achieve a desired outcome. Do you have a succession plan? If so, discuss the importance of and challenges with training up high-performing staff. We are actively working on our succession plan. It is key to the success of an organisation to have strong succession plans as it helps people feel more stable about the future. I am lucky to have a high-performing senior leadership team full of potential CIOs that help lead our organisation and has helped us mature to our current level. What advice would you give to aspiring IT leaders? Hire a great team of people smarter than you. Hire people for their values and character, not just technical skills. These are hard to measure at an interview so have a mechanism to correct mistakes that you will inevitably make in hiring and ensure that everyone in the organisation understands those mechanisms. Then spend lots of time understanding the business and its clients, this will ensure that you are a trusted partner to senior executives in the organisation and not just the IT guy. What has been your greatest career achievement? I have been fortunate to have been involved in many exciting projects while at USF. I would hate to define just one, but watching members of my team grow into great leaders within and outside my organisation gives me great satisfaction. Looking back with 20:20 hindsight, what would you have done differently? Hindsight is never 20:20 for me. Each decision you make, changes the outcome. The best decision that you make is the decision that you make at the time with the information and council that you get at that point in time. Retrospectives should focus on mechanism to making better decisions or better products versus second guessing decisions made previously. Most people don't know that I… Would like to be a fishing guide. In my spare time, I like to…Fish, watch and read about politics, spend time with family and friends. Ask me to do anything but… Deliver solutions that do not add value to our clients.